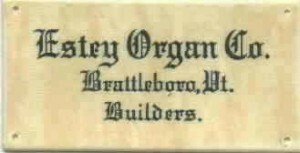 The Estey Organ Museum is a 501(c)(3) nonprofit organization. We rely on the support of our members to sustain us. We thank our current members for your continuing support, and encourage those who are not members to join today, at whatever level is appropriate for you. Other than Lifetime, membership is for one calendar year. We accept payments on-line via Paypal.